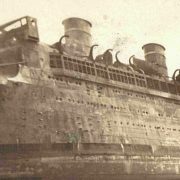 What follows is the most complete listing of Morro Castle victims we have been able to assemble. Those who were never found are listed in Italic. There are more than the official 134 names on this list, because in many cases passengers and crew identified as survivors on the published lists were actually lost; people unequivocally listed as lost were actually saved, and some names were listed with equal frequency as victims and survivors. (?) Means questionable ID. This is, of course, flexible and conclusive evidence is always welcome. Death certificate research, now in progress, will clear up most of these ambiguities. Altenburg, Mrs. Sophie. 60. 171 Pine Street, Brooklyn. Member of Concordia Society. Body identified at Sea Girt, New Jersey by son, George Altenburg. Bader, Charles. 55. 22 Oakmere. Baldwin LI. Vice president of Kienis & Co. Tank Manufacturers. Director of Peoples State Bank, Baldwin. Body identified at Sea Girt New Jersey. Survived by wife, Caroline, and two daughters; none of the three were aboard the Morro Castle. Buried at Greenfield Cemetery, after Masonic Rites, and services at St. Paul’s Lutheran Church in Baldwin.. (?) Behling, Miss Anna. 36. Philadelphia. Miss Behling was a secretary for an oil company. Berliner, Monroe. 41. Philadelphia businessman. Hal Burton, and The New York Times both claim that he burned to death in his cabin. Mr. Berliner appears on the final missing list. Berliner, Max: Members of THE MERCHANTS AND SALESMEN’S CLUB of Brooklyn are requested to attend the funeral of our beloved brother, Max Berliner. Services will be..Burial will take place at Mount Hebron Cemetery, Flushing NY, Plot 26. His name wasn’t Monroe, he wasn’t from Philadelphia, and his body was recovered. He left two teenage children, Gladys (17) and Arthur (14) and his youngest child, Phyllis age 7 at the time of the disaster. Berry, Miss Agnes D. 26 58 High Street, Springfield, Mass. Employee of Massachusetts Mutual Life Insurance. She was survived by her mother, Margaret Berry, and sisters Mary and Catherine Berry. 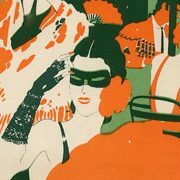 Miss Berry was travelling with her cousin, Miss Helen Brodie of Hartford, Connecticut. The two received conditional absolution from Father Raymond Egan before they jumped from the ship. Boguson, Mr. Elias. 31. 42 Eldridge Street, New York City. Crew. Sometimes listed as Bougouson or Bouguson. Brady, Mr. Edward J. 53. 7048 Greenhill Road, Philadelphia Pennsylvania. Body identified at Sea Girt, New Jersey. Mr.Brady was survived by his wife, Adele, 53 and daughter, Nancy Ann, 18, both of whom were aboard the Morro Castle. He died of exhaustion and exposure in their presence. Mr. Brady was an engineer for a gas company. Bregstein. Master Mervyn. 8 7825 4th Avenue, Brooklyn. Father, Dr. S. Joseph Bregstein (1899-1972) who survived the fire entrusted him to a shipboard acquaintance named “Florence” who attempted to swim with Mervyn to one of the rescue ships and failed. Mervyn had reddish brown hair, freckles, and brown eyes, and was wearing pajamas, a top coat and a rain slicker at the time of his death. Student at PS 185, Brooklyn. (?) Browney, Miss. On final “missing” list, but shown as a survivor on most other lists. Borrell Mrs. Henrietta. 44. Buffalo New York. Husband, Dr. J. Borrell (1891-1939) survived the fire. Casiniere, Mr. Albert. Pastry baker (also listed as pantry man) Identified by fellow crewmen Clarence Monroe, Matt McCrodden, Morris Weisberg and Colin Houston (1907-1980) at Waters Funeral Parlor, Jersey City NJ..
Clark, Mrs. Carrie. 47 156-14 Channel Street, Howard Beach, NY. Husband, William Clark, survived the fire, as did Frank Clark, her relationship with whom remains to be determined. Mrs. Clark, a non-swimmer, was thrown overboard by ‘rescuers’ despite her protestations. Cochrane, Miss Catherine. 57. 78 8th Avenue, Brooklyn, New York. Sister of Dr. Charles Cochrane, who survived the fire. Died of burns after smoke inhalation in Suite A-3. Remains consisting of a pivot tooth, bone fragments, a hand mirror and a mass of fused coins were recovered from the suite; however, Catherine is on the final missing list. Cemetery records show that she ws buried at Green-Wood Cemetery in Brooklyn on September 19, 1934. Charles Cochrane died on September 9, 1959, and was buried in the same plot as his sister. Coll, Dr. James F. 51. 54 Duncan Avenue, Jersey City, New Jersey. His fifth wife, Dorothy, 23, and daughter, survived the disaster. Conroy, Miss Camilla. 38. 323 West Lorraine Avenue, Baltimore Maryland. Secretary to State Attorney Herbert R. O’Conor, who identified her body. She was found floating face down near the wreck, in her nightgown, and not wearing a lifebelt. She was the primary support of two unmarried older sisters. Dillon, Mrs. James. 42 4th Street, Brooklyn. Identified at Sea Girt by her son in law C.R. Murphy. Mother of Mae Maloney, who survived the disaster. The two women were part of a large group who supported one another in the water. After some time had passed, Mrs. Dillon became delirious and lost consciousness; Mae Maloney according to witnesses repeatedly said “I do hope that mother will wake up” although it was obvious to the others that she had died. Distler, Mrs. Adelaide 55 56 Lenox Road, Brooklyn. Wife of victim Ernest Distler. Born in England. Services held at St. Paul’s Protestant Episcopal Church, Brooklyn. Buried at Evergreen Cemetery. Distler, Mr Ernest. 79. 56 Lenox Road, Brooklyn. Retired brewer. Husband of victim Adelaide Distler. Born in Bavaria. Identified at Waters Funeral Parlor, Jersey City NJ. Services held at Christ Evangelical Reformed Church, East New York. Buried at Evergreen Cemetery. Errickson, Miss Jerri 28 41-12 71st Street, Flushing, Queens, NY. Body identified at Sea Girt New Jersey. Possibly a pseudonym of Aagot Halvorsen, who appears on some fatality lists as a crew member. Jerri’s birth name was “A. Halvorsen.” A native of Norway, where she left parents, she assumed her new name when she moved away from her brother’s family in Yonkers, New York to live with her uncle. Some sources say she taught at Hunter College, Manhattan, while others list her as being a secretary there. Buried at Woodlawn Cemetery, the Bronx. Miss Erricskon may have been one of the passengers killed or fatally incapacitated by a life preserver, having it slam up under her chin as she jumped: her brother, Albert Halvorson, was quoted as saying that she was a strong swimmer who struck something when she jumped from the ship. Farnell, Hamlet. 78-04 95th Avenue, Ozone Park, New York. Crew. Body washed ashore at Point Pleasant New Jersey on the morning of the fire and was one of the first to be recovered and identified. Services here held at Kramer’s Mortuary, Glen Cove, Long Island, N.Y.
Faulconer, Mr. Fred. 44. Alexandria Virginia. Chief Dispatcher for Southern Railway, he traveled aboard the Morro Castle on a pass with co-worker Harry Lipscomb. Identified at Sea Girt, New Jersey by Benjamin Edwards, a friend. Featherston, Mr. Thomas. 60. 157 Hanover Street, Wilkes-Barre Pennsylvania. Brother of survivor Mrs. James Sheridan, also of Wilkes Barre, and uncle of victim Master Arthur Sheridan. Identified at Bellevue Mortuary by his brother-in-law James Sheridan. His wife, Anna, and 5 children did not make the voyage. Filtzer, Mr Charles F. 115-36 Mayfair Road, Queens NY. Was honeymooning aboard the Morro Castle with his wife. Selma, who survived. The couple swam together for some time before a large wave submerged them, drowning Charles. Foersch, Mr. Harold. 32. San Diego, California. Watchman. Fryman, Miss Fannie. 21. 1247 South Second Street, Philadelphia, Pennsylvania. Employed at the grocery store owned by her parents, Harry and Jennie Fryman. Identified at Sea Girt by her brother Samuel. Gahringer, Mrs Dora. 67. Scarborough New York. Mother of victim Lillian Gahringer. Identified at Sea Girt by her son in law Everett Minnerly. Was a retired cook. 1920 census shows her as being a live in servant at an estate in Pleasantville, New York, where her daughter, Lillian, was employed as a children’s nurse. 1930 census shows her as being retired and living with her son-in-law Everett Minnerly. Shown on some lists as “Julia Bahringer.” Dora Gahringer is correct. Funeral at the home of her daughter, Mrs. Minnerly of Archville NY. Buried in Machpelah section of Sleepy Hollow Cemetery, Tarrytown New York. 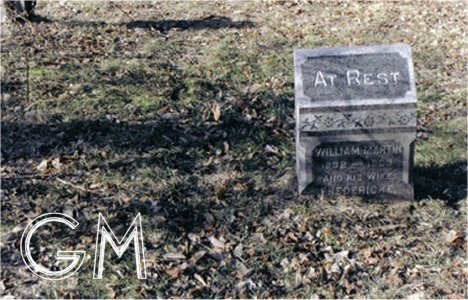 Her stone is not inscribed, but she is buried in the same grave as her parents, William and Fredricke Martin. The Grave of Dora and Lillian Gahringer, Machpelah Plot, Sleepy Hollow Cemetery, Tarrytown, N.Y.
Gahringer, Miss Lillian. 37. Scarborough, New York. Daughter of victim Dora Gahringer. 1920 cernsus lists her as being employed as a children’s nurse and living in the home of her brother-in-law Everett Minnerly. She is not listed in the 1930 census, and by that time was not living with her sister and brother in law. Shown on some lists as “Lillian Bahringer.” Gahringer is correct. Identified at Waters Funeral Parlor, Jersey City NJ. Funeral at home of sister, Mrs. Minnerly of Archville NY. Buried at Sleepy Hollow Cemetery, Tarrytown NY. Is buried, unmarked, in the same grave as a sister who died in childhood. Gomez, Mr. Manuel. Fifth cook. 75 South Street, Manhattan. (? )Gonzalez, Mr. Manuel. 328 East 89th Street New York City, New York. Bedroom Steward..
Gonzalez, Mr. Roberto. 13. 351 Carpenter Street, Newburgh, New York. Identified at Sea Girt, New Jersey. Griesmer, Mrs. Augusta. 77. 2400 Cornelia Street, Brooklyn, New York. Mother of victim Frederick Griesmer, and mother in law of victim Clara Griesmer. Member of the Concordia Society. Buried at Lutheran Cemetery, Queens. Predeceased by her husband, Charles Griesmer, and survived by two daughters, Mary and Christina. Griesmer, Mrs. Clara Lauber. 40. 60-30 Woodbine Street, Ridgewood, New York. Wife of victim Frederick Griesmer, and daughter in law of victim Augusta Griesmer. Identified by her cousin, Mrs. C.J. Fritz, at Sea Girt, New Jersey. Buried at Lutheran Cemetery, Queens. Survived by two children, Donald and Ruth Griesmer, who were not aboard the Morro Castle. Griesmer, Mr. Frederick. 42. 60-30 Woodbine Street, Ridgewood, New York. Dairy Products Salesman. Husband of victim Clara Griesmer, and son of victim Augusta Griesmer. Buried at Lutheran Cemetery, Queens. Guterbay, Mr. Jesus. Sixth cook. 161 Atlantic Avenue, Brooklyn. Likely that “Guterbay” sometimes spelled “Guteray” on 1934 lists was a phonetic spelling of Gutierrez. Identified at Waters Funeral Parlor, Jersey City NJ. Hagedorn, Mr Henry. 56. 366 Euclid Avenue, Ridgewood, Queens, New York. Listed in 1930 census as being a Power Plant Engineer. Husband of victim Minnie Hagedorn. Hagedorn, Mrs. Minnie. 56. 366 Euclid Avenue, Ridgewood, Queens, New York. Wife of victim Henry Hagedorn. Identified at Waters Funeral Parlor, Jersey City N.J. Buried at Evergreen Cemetery, Brooklyn. Haessler, Mr. William. 71. 89-19 90th Street, Woodhaven, New York. Was photographed walking off of the Monarch of Bermuda in New York City the morning of the fire with bandaged eyes. Became, arguably, the 134th and final victim when he died of lobar pneumonia September 12. A pressman at a printing company, Mr. Haessler was survived by his wife, Elizabeth, 58, and adult children Walter and Henrietta. (?) Halvorsen, Aagot. A name which appears on some victims lists, as both a passenger and a crew member. This may have been the true name of passenger Jerri Errickson of Queens, whose birth name was “A. Halvorsen,” although one source lists this victim as as 48 year old Mrs. Ole Halvorsen of Brooklyn. Heiman, Mr. Joseph A. 40 East 88th Street, New York City. Meat market employee.Identified at Sea Girt New Jersey. (?) Hillstrand, Mr. William. 157 East 61st Street, New York City, New York. Engineering Cadet. Hoed de Beche, Mr. Franz 18. Havana. Franz Hoed de Beche was traveling with survivor Jose Hidalgo; both were entering DeWitt Clinton High School in New York City. Hidalgo and Hoed de Beche awoke and looked out of their porthole to see fire pouring out of the upper portion of the ship. Hoed de Beche was with survivor Rosario Comacho on one of the enclosed decks at the stern, where they were blocked from reaching the rail by a male passenger who would not allow them access. As they began to choke on the smoke, Rosario bit the man on his back and when the man turned in anger, she and Hoed de Beche pushed passed him and jumped from the ship. Another jumping passenger landed atop them stunning Rosario. She did not see Franz again and his body was never found. Mr. Hoed de Beche was a senior at DeWitt Clinton High School in New York City. A reprinted 1935 student newspaper article in the DeWitt Clinton Alumni Newsletter, Fall 2005, featured a photo of Franz, and confirmed that Hoed de Beche was the ‘young Cuban’ Marjorie Budlong tried, and failed, to save. Hoffman, Miss Eva. 24. 263 Adelaide Street London, Ontario. Identified at Sea Girt, New Jersey, by her fiance, Max Krauss of New York City and her sister, Goldie Hoffman. Holden, Mrs. Grace. 43. Michigan Avenue, Cincinnati, Ohio. Wife of survivor Reuben.A. Holden III (1890-1967) regionally well known tennis player, and mother of survivors Reuben IV (1918-1995) and John Holden. Her last recorded words to her sons before they all went overboard were ‘remember, if we get separated in the water, we’ll meet at the Roosevelt Hotel in New York.’ She was identified at Sea Girt, New Jersey by the manager of the Monmouth Hotel. Reuben Andrus Holden IV, Yale, Class of 1940, married the cousin of US President George Bush senior, served as the secretary of the university during the 1960s, and was the author of several books pertaining to Yale. Jakoby, Mr. Henry. 60. 61 Ridgewood Avenue, Brooklyn. Husband of survivor Josephine Jakoby, (1882-1974) and father of victim Henry Jakoby, Junior,16. Identified at Sea Girt New Jersey by his cousin A. Jakoby. Mrs. Jakoby was released from Asbury Park Hospital in time to attend his services at St. Michaels’ Roman Catholic Church in Brooklyn. Buried at St. John’s Cemetery, Middle Village, Queens. Jakoby, Mr. Henry, Junior. 16. 61 Ridgewood Avenue, Brooklyn. Son of victim Henry Jakoby and survivor Josephine Jakoby. Buried at St. John’s Cemetery, Middle Village, Queens. Kennedy, Mr. James F. 36. 4 Chandler Court, Hamilton Beach NY. Identified at Sea Girt, New Jersey by his brother in law, Frank Cooper. His wife, Mrs. James Kennedy, survived the disaster. Buried in Calvary Cemetery, Queens, New York. Kent, Mr. John . 27. 158 Elm Avenue, Swarthmore, Pennsylvania. Identified at Sea Girt, New Jersey. Klein, Mr. Milton. 45. 122 East 33rd Street, Paterson, New Jersey. Occupation in 1930 census listed as “advertising.” Identified at Sea Girt by his cousins Harry and Morris Biber. Kosbothe, Mr. Adolph. 53. 214 Ridgewood Avenue, or 214 Fitzwater Avenue, Brooklyn. All but one death list gives this victim, and his wife, also lost, the last name “Kossothe.” However, research by Marty Oppenheim, shows their last name to have been Kosbothe. The 1920 census shows Adolph working as a patrolman; as of 1934 he was still working as a police officer. Kosbothe, Mrs. Mary. 53. 214 Ridgewood Avenue or 214 Fitzwater Avenue, Brooklyn. Wife of victim Adolph Kosbothe. Identified at Sea Girt by her nephew, August Offerman. Buried at Mount Olivet Cemetery, Maspeth, Queens. Kraus, Miss Rose. 49. 720 West 180th Street, Bronx N.Y. Identified at Sea Girt by her brother in law, Edward Stecker. Kuhn, Mrs. Anna. 62. 179 Piccadilly Lane, Lynbrook, Long Island, N.Y. A grandmother, she was buried at Evergreen Cemetery, Brooklyn. Kurland, Mr. Albert. 41. 21 Sherman Avenue, Bronx, New York. Musician. Identified at Sea Girt. Kurland, a three year crew member off the Morro Castle, had given his notice of resignation and was to begin a shore based job on the Friday after the fire. He left a wife, Alma, son Robert, 21, and daughter, Mrs. Robert Schmez. Buried in Mt. Lebanon Cemetery. (?) Landan, Miss Dorothy Appears on most lists as survivor Dorothy Landau. Latta, Mr. Clyde. 34. Fredonia, New York. Chief Steward. Identified at Waters’ Funeral Parlor, Jersey City N.J. by his uncle Edward J. Itel. Larranaga, Mr. Nicholas. 32. 48 Cherry Street, New York, New York, and Bilbao Spain. Assistant cook. Identified at Point Pleasant, New Jersey. Likewise, Mr. Jacob A. 68. 115 Cleveland Street. Worked as a painter in a family owned paint shop.Identified at Sea Girt. His wife, Minnie Likewise, 67, survived the fire. Lione, Mr. Anthony. 34. 39-94 48th Street, Sunnyside, Queens. Husband of survivor Mary Lione; father of survivor Robert Lione; father of victim Raymond Lione. 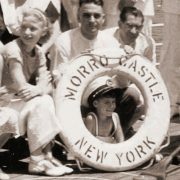 Anthony Lione was awarded his trip aboard the Morro Castle for being ‘salesman of the year’ at the insurance office where he worked. The voyage was also a tenth anniversary celebration for him and Mrs. Lione. He had previously worked as an architect and, before that, as a hotel orchestra leader. Identified at Sea Girt by his brother, Joseph Lione. Buried in Calvary Cemetery, Queens N.Y.
Lione, Master Raymond. 8. 39-94 48th Street, Sunnyside, Queens. Son of victim Anthony Lione and survivor Mary Lione; brother of survivor Robert Lione. Mary Lione recalled that when Raymond was lowered overboard from the Morro Castle he cried out “They must save me! I don’t want to die!” He was supported in the water by survivor Frank Dittman, 16, who related that, after several hours, Raymond had turned blue and declared “I don’t think I’m going to make it.” Both boys were pulled aboard a fishing vessel, but Raymond Lione died soon after. Buried in Calvary Cemetery, Queens N.Y. (?) Lipscombe, Harry A. 54 . 265 Commerce Street, Alexandria, Virginia. An employee of Southern Railroad and traveling companion of Frederick Faulconer. The two men traveled on an AGWI pass and did not appear on the liner’s passenger list. Benjamin Edwards, a friend of the two men searched for Mr Lipscomb and Mr. Faulconer. He located Faulconer but not Lipscombe, and at the point where the newspapers dropped the story Edwards was trying to prove that Lipscombe had been aboard. He appears as a fatality on Gallagher’s Fire at Sea list, but does not appear on newspaper lists from 1934. Mr. Lipscombe was married 29 years in 1934, but evidently lived apart from his wife. Listic, Mr. Milton. 398 Lake Avenue, Worcester, Massachusetts. Identified at Sea Girt by his brother, Irving Listic. Lofmark, Mrs. Dorothy Seebach. 33. 455 East 141st Street, Bronx, New York. Identified by her husband, Bronx mortician Robert Lofmark who was not a passenger aboard Morro Castle, at Sea Girt, New Jersey. Lopez, Mr. John. Fourth cook. Identified at Waters Funeral Parlor, Jersey City N.J.
Lyon, Mr. Morton, Junior. 26. 206 Windmere Avenue, Wayne Pennsylvania. 1930 Census lists his occupation as Insurance Agent. Identified at Sea Girt by his father. Lyon apparently broke his neck jumping from the Morro Castle while wearing a lifejacket. A survivor by the name of Chalfont recalled encountering Mr. Lyon in the water; he couldn’t hold his head upright, it kept falling over, and he was having trouble breathing. He died soon after. Marshall, Mr. Herbert. Richmond, Virginia. Crew. Fireman. Marshall, Mrs. Nellie. 44. 869 54th Street, Brooklyn, New York. Identified at Sea Girt by her husband, George. Buried at Evergreen Cemetery, Brooklyn. McArthur, Mr. Alexander. 37. 2019 Bleich Street, Philadelphia, Pennsylvania. occupation listed in 1930 Census as “Insurance.” Husband of survivor Mrs. Frieda McArthur. Mr. McArthur died of exposure while awaiting rescue with his wife; she refused to release his body when a fishing boat drew near and it took several minutes to persuade her to abandon him and board the ship. Identified at Sea Girt. Survived by two children, Dora, 15, and Alexander Jr, 5, neither of whom were on the fatal voyage. Makarski, Mr. Stanley.563 10 Street, Brooklyn. Sculleryman Buried at Evergreen Cemetery, Brooklyn. Martin, Mr. Nelson 2190 8th Avenue, New York City. Waiter. Maus, Mr. Julius. 27. Little Neck, New York. Elevator operator. (?) Meley, Frank. 45. East Orange, New Jersey. Passenger. Married, and a superintendent for a trucking company. (?) Messereau, Mr. Nelson Pelham Bay Manor, New York. Linenkeeper. Mr. Messereau appears on most lists as “missing.” However, it is almost certain that he was not aboard the final voyage of the Morro Castle: his family, in Pelham, claimed in a 1934 interview that he had signed on for the fatal voyage but did not sail. Miller, Mr. Robert. Great Kills Staten Island New York. Ordinary seaman. Sometimes listed as Millner. Mohr, Mrs. Letty C. 101 Lafayette Avenue, Brooklyn N.Y. Identified at Sea Girt, New Jersey, by her sister Adelaide Reynolds. Moran, Mrs. Emily. 58. 109 Sheppard Avenue, Brooklyn, N.Y. Mother of victim Marion Moran. Identified at Sea Girt, New Jersey, by her sister, Mrs. J. McDonald. Mrs. McDonald had heard reports that Emily Moran was recovering in a hospital in New Jersey, and went to the temporary morgue seeking only her niece, Marion Moran. In the presence of at least one reporter, Mrs. McDonald stepped backwards from a body as the sheet was drawn away, exclaiming “that is my sister!” She quickly composed herself and soon found Marion. Buried at Holy Cross Cemetery. Survived by a daughter, Emily, 33, who did not make the trip. Moran. Miss Marion. 37. 109 Sheppard Avenue, Brooklyn, N.Y Although nearly all 1934 accounts and lists refer to Marion as being the niece of victim Emily Moran, the 1920 and 1930 census both state that she was Emily’s daughter. She was a laboratory assistant at the Bell Telephone Lab. Identified at Sea Girt, New Jersey, by Mrs. J. McDonald. Buried at Holy Cross Cemetery. Morris, Mr. Stanley. 105 McKinley Avenue, Brooklyn, New York. Junior Engineer Body recovered, along with that of Guido Policastro, by Edward Lawrence, of Poughkeepsie New York, while fishing off of Spring Lake, New Jersey, September 12, 1934. Next door neighbor of passenger Louise Vogt, victim. Muller, Miss Francis. 30. 22 McDonald Street, Hempstead, Long Island, NY. Clerk. Her name was spelled Mueller on some of the published lists. Buried at St. John’s Cemetery, Middle Village, Queens after services at Our Lady of Loretta Roman Catholic Church, Hempstead, Long Island N.Y. Was aboard the with her friend Marjorie Ehrman, who fainted during Miss Muller’s funeral service. 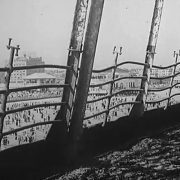 She resided, along with her father, Charles, in the home of her cousin, contractor Gustavin Wischerth, neither of whom were aboard the Morro Castle. Murphy, Mrs. Frances. 72. Germantown, Pennsylvania. Listed as having been fatally burned. Daughters aboard Morro Castle, Miss Francis Murphy, 45, and Miss Sarah Murphy, 47, both employed by the same silk manufacturer, survived with burned faces and multiple contusions. Identified at Waters Funeral Parlor, Jersey City, NJ. (?) Newmark, Mrs. Dora. 45. Brooklyn, New York. Wife of survivor Phillip Newmark. Mrs. Newmark, although frequently listed as a fatality, actually died at the age of 98 in May 1987. Olavarria, Mr. Rene. 1873 3d Avenue. New York City. Bath Steward. Name also given, less frequently, as Clavarrria. Wife, Dorothy, gave birth to a child, Emilia, (died January 2004) the day after the fire, in Metropolitan Hospital. Pearlman, Mrs. Bessie. 38. 314 Newport Street, Brooklyn New York. Identified at Sea Girt, New Jersey, by her husband, Meyer Pearlman. Pellice, Mr. Louis. 83 Claremont Avenue, Brooklyn, New York. Washed ashore at Point Pleasant, New Jersey. Petti, Mr. Sam. 154 West 144 Street, NYC. Waiter. Usually spelled “Petty” on lists. An August 1934 menu signed by Sam shows the correct spelling to have been with an “I.” Identified at Waters Funeral Parlor, Jersey City N.J. by his wife, who knelt in prayer beside his coffin before requesting a lock of his hair be cut for her. Pottberg, Ernest E. 50. 436 Baird Avenue. West New Brighton, Staten Island, New York. Identified at Sea Girt by his brother, Otis Pottberg. He was a member of the Brune, Pottberg & Co. cotton exporting firm, NYC. Buried at Moravian Cemetery, New Dorp, Staten Island, NY. Survived by a wife, two sons and two daughters. Price, Mrs. Mary. 53. 93 Pine Street, Brooklyn New York. Mrs. Price was aboard the Morro Castle with her husband, police officer William Price. She was in poor health and the trip was supposed to acts as a ‘restorative.’ Anecdotally, Price held back a crowd at gunpoint so that his incapacitated wife could be safely lowered over the rail. Friends said that she died as soon as she entered the water. Ramos, Mr. Luciano. Bedroom Steward. Reichele, Mr. Eugene. Zurich, Switzerland. Junior electrician. Name also listed as Reihle. Identified by fellow crew members Clarence Monroe, Matt McCrodden, Morris Weisberg and Colin Houston at Waters Funeral Parlor, Jersey City NJ. Houston, who has been a close friend to Mr. Reichele “broke down” before making the formal identification. Reineking, Ferdinand. 205-22 11 Avenue, Hollis, Queens, New York. Listed as Mrs. Ford Reinekins on some lists, Mr Ford Reineking on others; Mr. Ferd Reineking; Mr. Ferd Reinkung, and by his true name Ferdinand Reineking. A grandfather, and a retired businessman with professional ties to Havana, Mr. Reineking was on a pleasure trip. Renz, Mrs. Marie. 125 Highland Place, Brooklyn. Her husband, housepainter Martin Renz, was rescued. Identified at Sea Girt by her son in law, John White. Some lists spelled the last name Rienz. Mrs Renz, a non-swimmer, was thrown overboard by ‘rescuers’ despite her protestations and drowned beside the ship. Ross, Mr. G. Alexander. 19. 217 Hamilton Avenue, St. George, Staten Island , New York. Cadet. Rueda, Master Dickie. Mother, Julia Rueda (1903-1980) and brother, Benito, survived the disaster. Ryan, Mr. Sydney. 28. 10 West 66 Street, New York City, New York. Waiter. According to the book, “Shipwrecked” after Ryan and stewardess Ragne Zabola were involved with one another, and both died when they jumped from the still-moving ship and were sucked into the propellers. However, both bodies were quickly recovered and identified, making the propeller story doubtful. Ryan and Zabola were both married. Identified at Waters Funeral Parlor, Jersey City NJ. by his widow. Saenz y Aguilera, Master Braulio. 21st Street, Havana Cuba, and New York City, New York. Was traveling to his New York home in the Ritz Cartlon Hotel with his mother, Margaret Saenz, and his sisters Caina and Marta Saenz y Aguilera, all of whom died. Braulio may have been the fatally burned young boy the Phelps family encountered in the aft corridor on B Deck. Saenz y Aguilera, Miss Caina. 21st Street, Havana, Cuba, and New York City. Saenz y Aguilera, Miss Marta. 11. 21st. Street, Havana, Cuba, and New York City, New York. The only member of the Saenz family unquestionably recovered. Marta, wearing a pink nightgown, and seriously burned on her face and arms, was supported in the water until she died, by crew member Charles Wright. She was also noticed by several other survivors, including Dolly and Sydney Davidson. Scheely, Mrs. Freida. 30. 72-37 Cypress Hills Street, Glendale New York. Husband, August Scheely, survived the disaster. 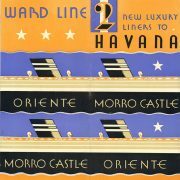 Sharott, Mrs. P. On final missing list, but did not board the Morro Castle in Havana. Subject of several articles in 1934, and one of at least 6 people who did not board the liner before she sailed. Sheridan, Master Arthur. 7. Wilkes-Barre Pennsylvania. Was traveling with his mother, survivor Mrs James Sheridan, and uncle, victim Thomas Featherston. Identified at Bellevue Mortuary by his father. Spector, Miss Frances. 43. St. George Hotel, Brooklyn. Identified by brother, George Spector. Stewart, Mr. Francis. 34. 4568 Spuyten Duyvil Parkway, Bronx, New York. Considered himself lucky to have boarded the Morro Castle. Got a booking on sailing day after a last minute cancellation freed space in his price range. Was last seen by his cabin mate struggling to pull down his lifebelt as the hall outside of their cabin ignited. Buried in Calvary Cemetery, Queens. Strauch, Dr. Henry.C. 41. Donora, Pennsylvania. Identified at Waters Funeral Parlor, Jersey City NJ. Strauch, Mrs. Ruth Dorothy Charlotte. Donora, Pennsylvania. Wife of Dr. Henry Strauch. Suarez y Murias, Mr. Eduardo. 49. Havana, Cuba. Identified at Waters Funeral Parlor, Jersey City NJ. Taubert, Miss Louise. 10 Parade Street, Providence, Rhode Island. Was traveling with Miss Florence Roberts, Miss Floride LaRoche and Miss Anne Conway, who were among the few passengers to escape in a Morro Castle lifeboat. The women were directed up an enclosed crew staircase from C Deck to the Boat Deck. Miss Taubert was apparently reluctant to run through the flames to board the lifeboat: her friends would later describe what happened as a ‘one minute she was with us, the next minute she was gone’ incident. She must have hung back at the last second as the others ran forward. but that she died of drowning rather than burning to death indicates that her indecision was not immediately fatal. 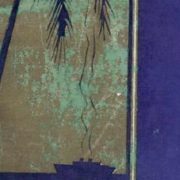 Miss Taubert lived with, and was survived by, her father, real estate appraiser Carl Taubert, her stepmother, Nellie Taubert, and sisters Dorothy and Ruth, none of whom were aboard the Morro Castle. Carl and Nellie Taubert married in 1923, which places the death of Louise’s mother, Emily, at some point in Louise’s childhood. Thomas, Mr. James. Philadelphia, Pennsylvania. Able seaman. Identified by his fellow crew members Colin Houston, Morris Weisberg, Matt McCrodden and Clarence Monroe, at Waters Funeral Parlor, Jersey City NJ. Throne, Miss Sarah. 30.138 East 35th Street, Brooklyn New York. Occupation listed in 1930 Census as either Silk Stitcher or Silk Sketcher. Identified at Sea Girt by Mr. Henry Throne, her brother whose name was given as “Hy” on the 1930 Census. Name also given as Thron and Thorne on victims lists..
Tosti, Francesco. 26. 686 3rd Avenue, New York City, New York. Was severely burned while assisting several women over the rail, and died in the water of burn injuries. Requiem mass held at St. Ann’s Roman Catholic Church, 3rd Avenue and East 43rd Street, NYC. Trujillo, Mr. Lupencino. 784 8th Avenue, New York City, New York. Assistant chief pantry man. First name also given as Luciano and Pupenchino. Ulrich, Mr. Ernest. 25 South Street, New York City, New York. Boatswain. Was heavily drunk on the night of the fire. Cabin mate attempted to rouse him, but he refused to get out of bed. Identified at Water’s Funeral Parlor, Jersey City N.J.
Van Zile, Dr. Dewitt C. 54 78 South Oxford Street, Brooklyn, New York. Ship’s Doctor. Performed final examination of deceased Captain Wilmot on the night of the fire. Proposed a “graveyard whistling” toast in the presence of friends later that evening: “Here’s to death- which one of us will be next?” Dr. Van Zile broke his neck jumping from the ship in a lifejacket: witnesses saw it ride up under his chin; blood gushed from his nose and mouth and he rolled over in the water. A waterlogged letter in his pocket stated that Captain Wilmot had died of a heart attack. Vasquez, Jose. 33. 108 Roosevelt Street, Brooklyn. Assistant Baker. Identified by George Schindel, pastry cook. Villehoz, Irineo. First name sometimes given as Drena. Body washed ashore and identified on the afternoon of the disaster. Although “Villehoz” is consistently on the “first lists” of the identified dead, no further information- including gender- was ever published. Last name sometimes given as “Villehoft.” Sometimes listed as a passenger, other times as a crew member. “Irene Villehaft” “Irene Villehoft” “Irene Villehoz” “Rene Villhaff” “Ireneo Villehaff” “Drena Villehoff” all appeared in print, and even in 1934 newspapers were puzzled enough over this confusion to begin stating ‘no information available’ after the name. It has been pointed out that the pronunciation of “Villehoz” is close enough to Vallejo to make it possible that this name was a phoenetic attempt to render the name of Antonio Vallejo, and the mistakle was never edited out of future listings. Vogt, Miss Louise Agnes. 103 McKinley Avenue, Brooklyn, New York. A clerk in the New York City Finance Department. Member of Concordia Society. Body identified at Waters Funeral Parlor, Jersey City NJ. Services were held at St. John’s Lutheran Church, and she was buried at Evergreen Cemetery, Brooklyn. Next door neighbor of victim Stanley Morris, crew. Wacker, Mr. Herbert. 42. 225 Union Avenue, Roselle Park, New Jersey. Borough Engineer for Roselle Park. Was traveling with his wife, and 18 year old daughter, Doris. They supported one another in the water, but after a time Mr. Wacker weakened and died in their presence. Mrs. and Miss Wacker kept him afloat after his death, but had to release his body in order to board a rescue boat. He washed ashore later that morning and was among the first identified. (?) Weberman, Mr. George. 406 East 75th Street, New York City, New York. Baker. Wecker, Miss Henrietta. 33. Ocean Avenue. Brooklyn New York. A stenographer for the City of New York. .Identified at Sea Girt., New Jersey. Weil, Mrs. Clara. 50. 180-07 Galway Avenue, Hollis, Queens, New York. Husband, William, survived the fire. Member of Concordia Society. Left two children: August and Lillian. Buried at the Lutheran Cemetery, Queens. Wilson, Mr. Richard. 179 Palisade Avenue, Jersey City, New Jersey. Junior Engineer. Zabola, Mrs. Ragne. 406 6th Avenue, Brooklyn. Stewardess. Supposedly jumped from the ship, with boyfriend, waiter Sydney Ryan, while it was still moving and was sucked into the propellers. That her body was recovered and quickly identified makes this doubtful. Zimplinski, Mr. Henry. 29. 30 Garden Place, Brooklyn , New York .Identified at Waters Funeral Parlor, Jersey City, NJ. The listed name of “Letty C. Mohr” is not correct. It should be Letty C. Lohr. My husband is her relative. She was married to Frederick Wilhelm Lohr who died in 1920. She’s buried with her husband in Woodlawn Cemetery in Brooklyn, New York in the Lohr Family Plot.